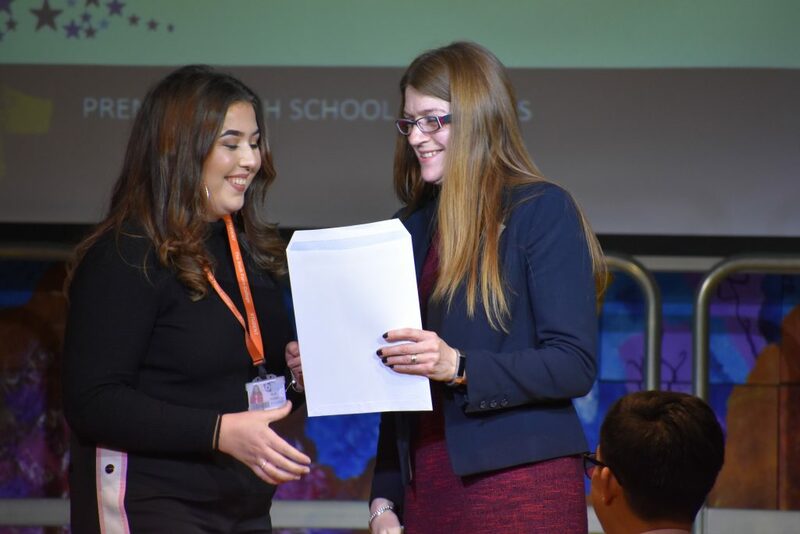 We were delighted to welcome back to school last summer’s leavers, joined by current Year 11 students, for our Annual Awards Evening. 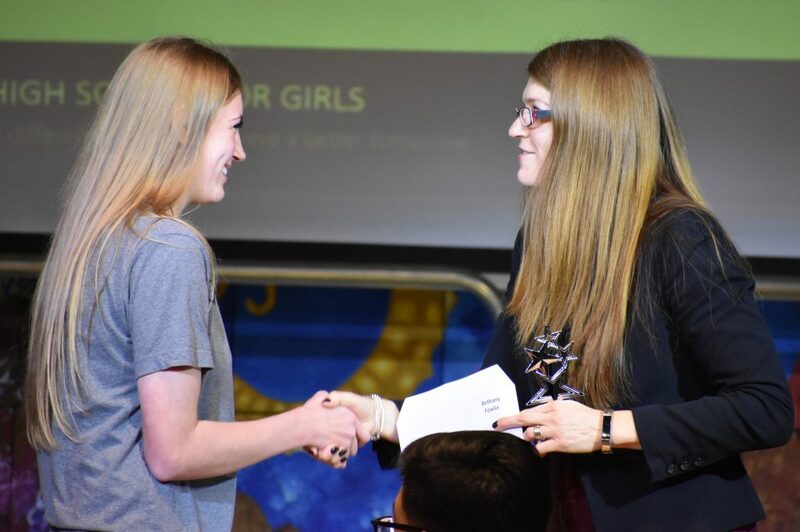 It was a pleasure also to meet up once again with our guest speaker, and former student, Chloe Pierce. 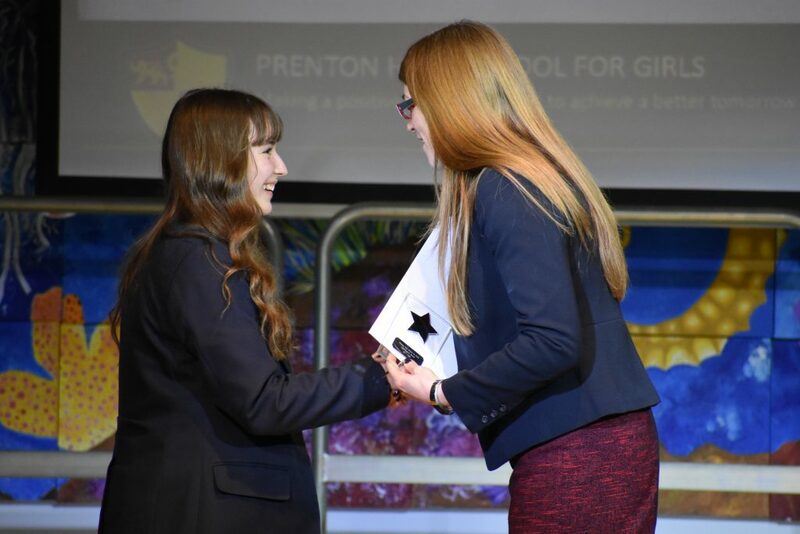 Chloe’s speech outlined her inspirational journey since leaving Prenton just three years ago. 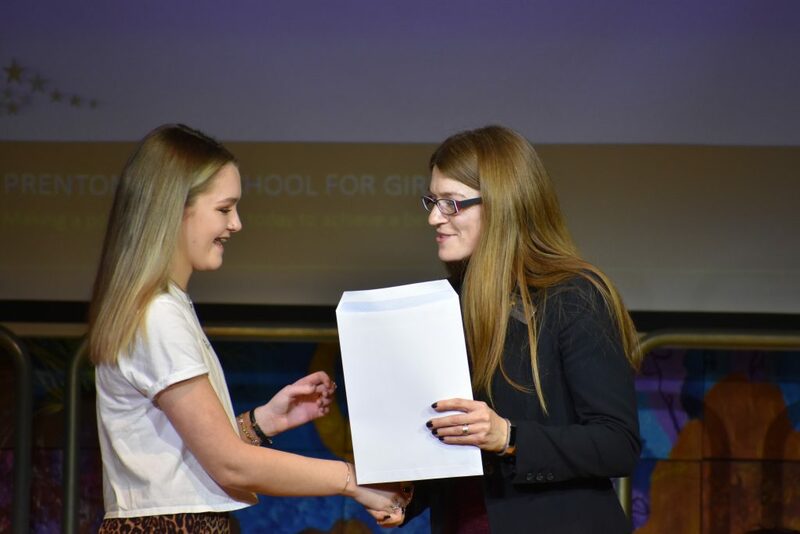 After two years at Wirral Metropolitan College studying childcare, she decided on a complete change of direction and follow a dream she had had since childhood – to become a police officer. 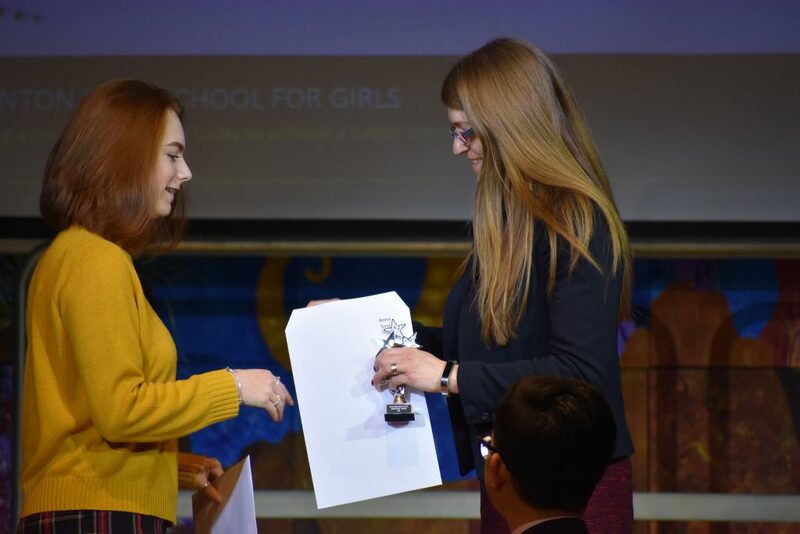 As a Cadet, she achieved ‘The Police Cadet of the Year Award’ in 2017 and then, following an intensive nine-month application process, successfully earned a place with Merseyside Police. Joining them 45 years to the day her father had become a Police Officer, Chloe was able to take his same Officer number. Currently a probationary Constable, Chloe is part of the investigations unit as part of her training. 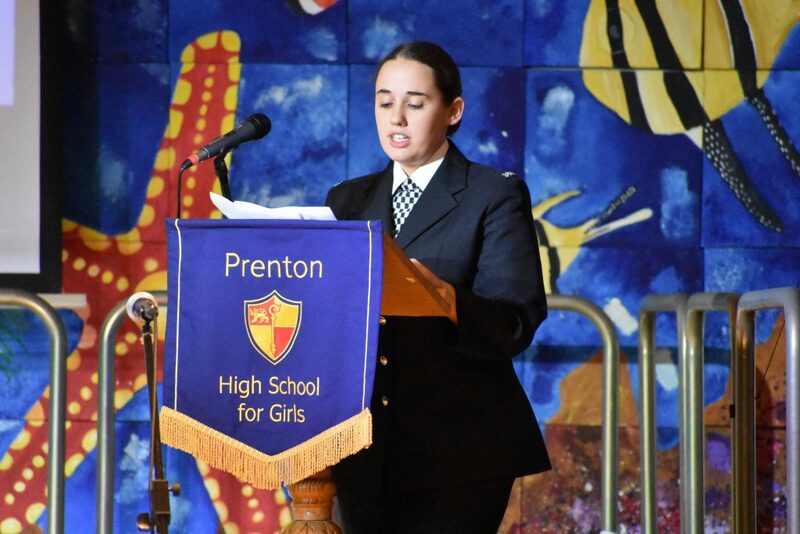 She praised the support she had received at Prenton, particularly in English, and referred to those extra PE lessons helping her cope with some of the more physically demanding Police assessments! 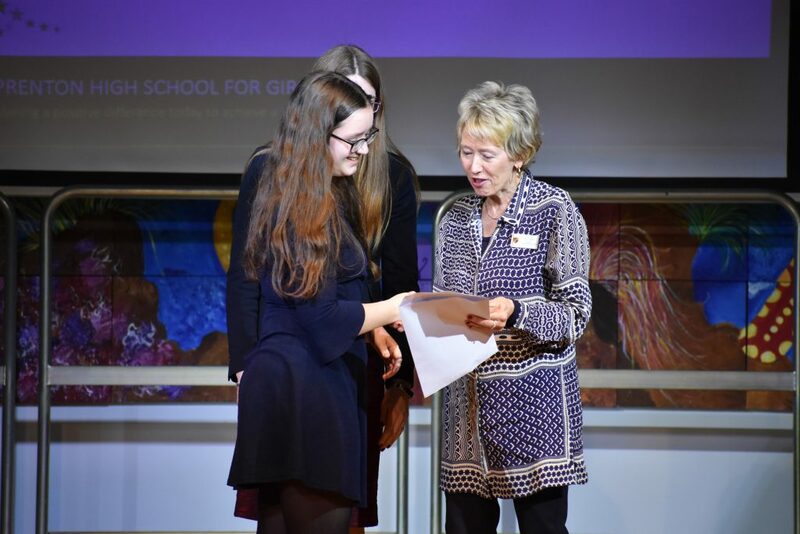 Chloe urged her young audience to work hard and not to be put off in following their dreams. 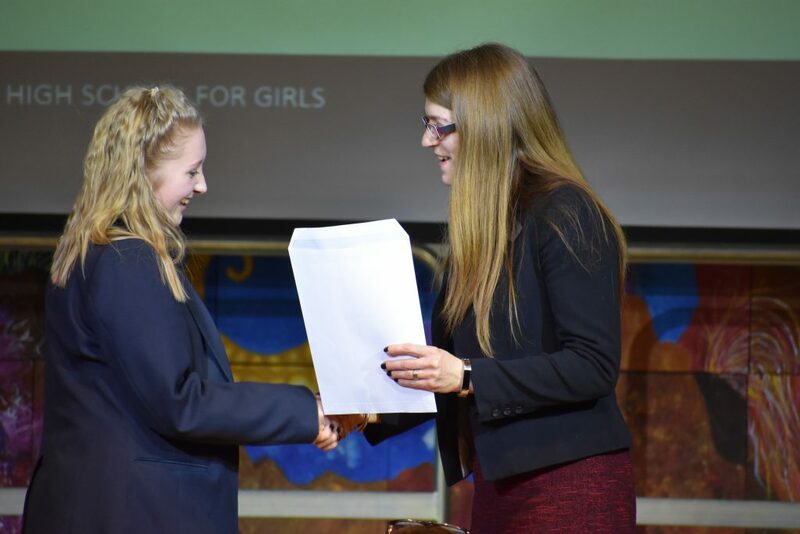 Headteacher, Mrs Ayling congratulated the ‘Year of 2018’, telling them of her pride that their results put them in the top 30% of all schools in the country. 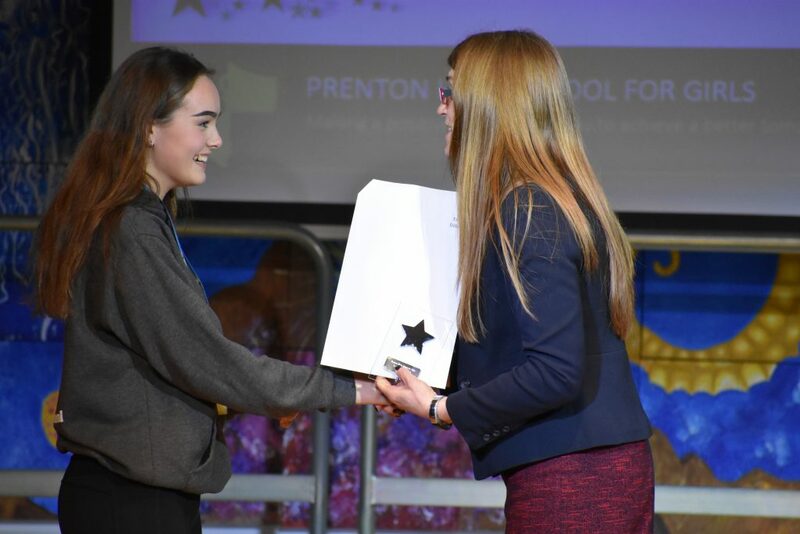 It was a busy evening with 240 awards presented, each giving us reason to celebrate and recognise a year of success and endeavour across the whole school. 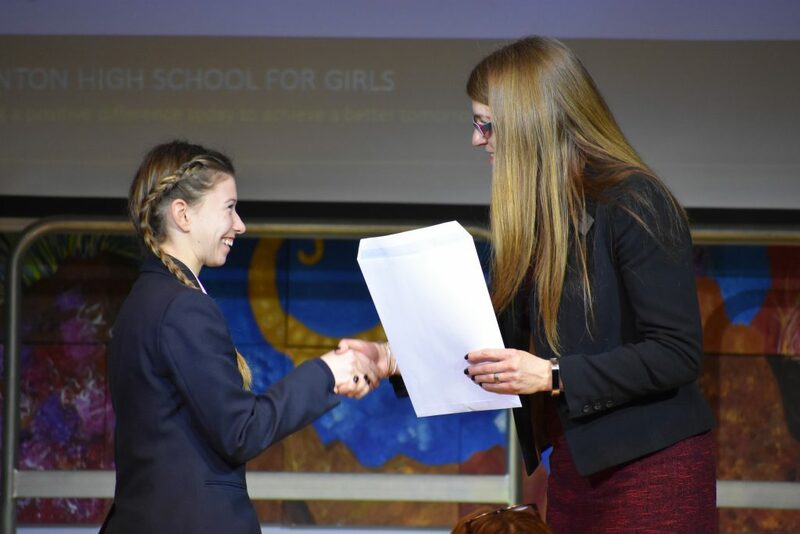 Included in the Special Recognition Awards were: The Lyndsey Batey Award for Resilience to Heather (Year 10) and Erin (Year 11); The Governors’ Award for Making a Difference to Olivia (Year 10) and to Melissa (Year 11) and The Headteacher’s Award for Academic Excellence to Laura (Year 10) and Katie (Year 11). 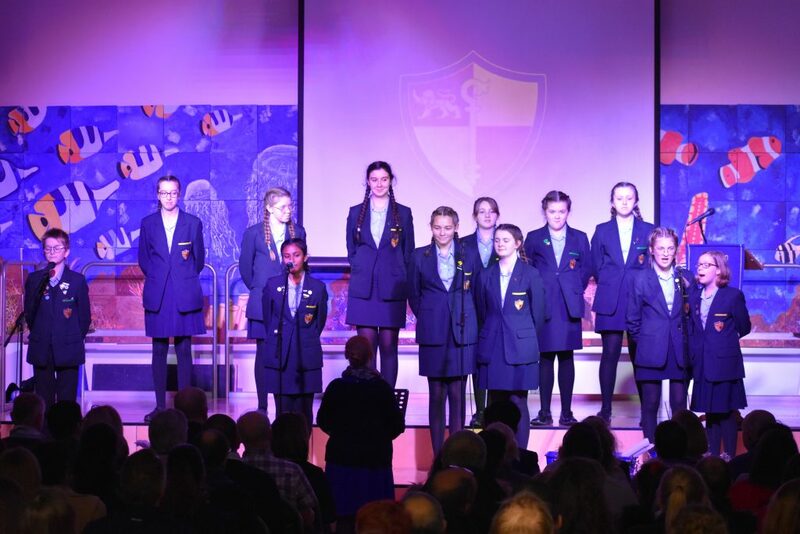 Thanks to our Choir who sang Auli’i Cravalho’s ‘How Far I’ll Go’ to open the evening and congratulations to everyone – please don’t forget to keep in touch! Previous Post Christmas is Coming – Literally! Next Post 7B2 wish you a Joyeux Noel, feliz Navidad, buon Natale – and more!